O mizu o kudasai. Kodomotachi. At its second repeat, I recognised what it said. The first thing I learned in Japanese, what my father taught me at a restaurant and which he deemed important to know, "O mizu o kudasai" is simply a polite request for water ---- "Water, please." Kodomo means child. Tachi is the plural of whatever it's attached to. Thus, kodomotachi means children. After intense mental engagement with the opera, its glorious cast of hundreds, soaring arias, atonal recitatives, debates of scientific advancement and political power, science vs ethics, and outstanding symphonic music, I was suddenly caught by the reality of the Japanese broadcast. I grew up in Japan. I should know what happened at Hiroshima and Nagasaki. My eyes welled up with tears. The opera had touched me in a way I had never expected. The intense crescendo of Doctor Atomic towards the Trinity test in Los Alamos does not end in the expected spectacular BIG BANG but in a simple quiet human request for some water to the children - in Japanese. The surprisingly quiet ending of the opera is devastatingly touching and one of the details that lifts Doctor Atomic to the category of an artistic masterpiece. The date of the test is usually considered to be the beginning of the Atomic Age. Trinity was a test of an implosion-design plutonium device. The weapon's informal nickname was "The Gadget". Using the same conceptual design, the Fat Man device was detonated over Nagasaki, Japan, on August 9, 1945. The Trinity detonation produced the explosive power of about 20 kilotons of TNT. I have seen the Netherlands Opera 2008 production of John Adams' Doctor Atomic in Mezzo TV. It is highly authentic because the stage director was the writer of the libretto, Peter Sellars. The libretto is quite unusual, as it is compiled from words actually said at Los Alamos. Writing arias about something like "wind is southwestern and 10 miles in hour" does not sound very poetic but the approach to text turns out to be another strike of genius in this opera. Doctor Atomic name intentionally hints to Doctor Faust - Goethe's description of a human facing something greater than life, ambivalent, tempting, and potentially utterly destructive. 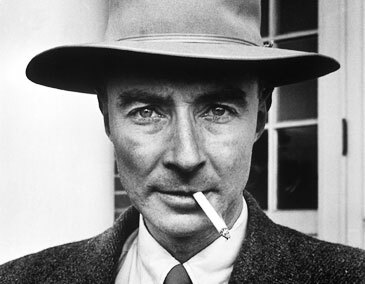 The opera is an intensive study of the inner soul of Robert J. Oppenheimer and others working at the Manhattan project on Trinity. 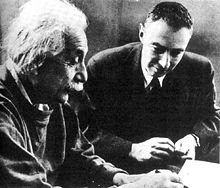 Oppenheimer was born in New York City on April 22, 1904, to Julius Oppenheimer, a wealthy Jewish textile importer who had immigrated to the United States from Germany in 1888, and Ella Friedman, a painter. In 1912 the family moved to an apartment on the eleventh floor of 155 Riverside Drive, near West 88th Street, Manhattan, an area known for luxurious mansions and town houses. Their art collection included works by Pablo Picasso and Édouard Vuillard, and at least three original paintings by Vincent van Gogh. Robert had a younger brother, Frank, who also became a physicist. After hearing details of the bombing of Hiroshima and Nagasaki Oppenheimer was overwhelmed by guilt and never really recovered from these events - neither did the world. Gerard Finlay acting as Oppenheimer gives an unforgettable performance at the end of Act 1 singing a prayer to Trinity with text from Donne's Holy Sonnet XIV. 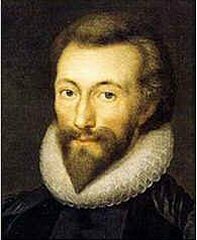 The Holy Sonnets, also called the Divine Meditations and the Divine Sonnets, are a series of nineteen poems by the English poet John Donne. Never published during his lifetime but widely circulated in manuscript, they have become some of Donne's most popular poems and are widely anthologized. The aria greatly deepens the image of Oppenheimer and the message of Doctor Atomic and is one of the causes that elevates the opera to world class art, an updated Faust. burn and make me new.